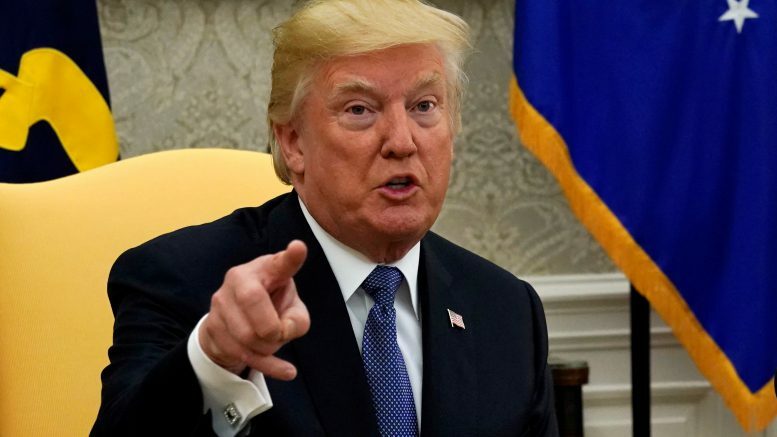 President Donald Trump will unveil the US’ strategy on Iran tomorrow, the White House said. “Tomorrow, the president will deliver remarks announcing the (Iran) strategy to the country,” White House Press Secretary Sarah Sanders told reporters at her daily news conference. She however, gave no indication of what the Iran strategy would be. However, media reports said that the president might pull out of the Iranian nuclear agreement. Democratic leader Nancy Pelosi cautioned against leaving the Iranian nuclear agreement, which was one of the top foreign policy achievement of the former president Barack Obama. “Experts agree that the Joint Comprehensive Plan of Action remains the best way to prevent Iran from acquiring nuclear weapons. Failing to certify the Iran Nuclear Agreement would be a spectacularly dangerous and reckless decision that puts America’s national security at risk and the catastrophic threat of a nuclear-armed Iran back on the table,” Pelosi said. Noting that Democrats have no illusions about the conduct of the Iranian regime, she said destroying the JCPOA would be a gift to the most radical and dangerous elements in Iran. The agreement has set up the toughest international monitoring regime ever enacted. The JCPOA has also allowed the international community to make progress in holding Iran accountable for its continued support for terrorism and its many human rights violations, she said. Be the first to comment on "Donald Trump to announce Iran strategy tomorrow: White House"